How Do I Track My Kid's Activity on Android Phone? Why tracking a cell phone? With the advancement of new technologies our lives became much easier and simplified in terms of communication and doing most of our routine things online. This involves Social networking, studying, work and many more! This informational revolution was pushed forward primarily by two devices: personal computer and later cell phone. Cell phones made our lives more convenient. This is the device that lets you make phone calls, send SMS, go Online and get the answers to the questions you are looking for, because they are right at your fingertips, take pictures/videos and many more! While mobile devices are vital part of our lifestyles – they can easily become the source of threat to your loved ones and can negatively influence your business: leakage of potentially sensitive information is always possible. 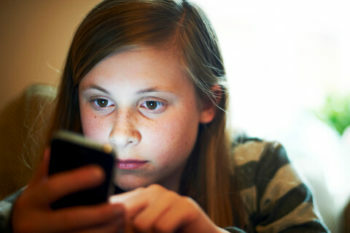 Children can become victims of internet bullies, bump into inappropriate adult content on the web, get involved in illegal activities that are easily reflected on the cell phone. Do not be indifferent by thinking that this will not happen to the people you care about. This is the situation when cell phone spy comes handy: you track the people you care about remotely while not being too invasive and overprotective! What features to consider while choosing cell phone spy software? Make sure that you keep tabs on your kid’s text messages and calls history. This is the place to look for the information that could lead to potentially dangerous and inappropriate activities. If you notice someone unknown stalking your kind via texts/calls – set this number to be recorded with Call recording option to get the ultimate information and take action right away! Call recording will provide you with the information you could only dream of before. Hear the completely private conversations absolutely remotely! Some services like (topspyapp.com) offer you the option to record all incoming and outgoing calls to be sure not to miss the important information! Surrounding recordings will use the target phone’s microphone capabilities to the max! Schedule a recording at a specific time to hear the activities around the target phone during that specified timeframe. Check if your kids are at school or hear the completely private meetings with the help of this feature ! Knowing the location of the kids is really handy when it comes to parenting. Be one step closer to knowing what they are up to! Get the real time 24/7 Location tracker that will grant you constant updates on target phone’s whereabouts! Internet is useful thing but can get dangerous sometimes. Track the Web activities such as history and bookmarks to know what places your kids visit while surfing on the web! Make sure there is no inappropriate activities going on. There is a tendency to switch from regular texting to social networking chats such as Facebook, Skype, Viber, WhatsApp. They have become especially popular among youngsters. Make sure to track these messages to get the complete peace of mind! TopSpyapp.com offers superb features list with constant stability of service. Customer care is really friendly! Supports Android, iPhone and Blackberry devices. Met our all expectations so far! Mspy.com – They have slightly wider device compabitility section because they support Windows OS devices and symbian OS. however, after testing their product it did not match expectations. Service is buggy still needs improvements and fixes. Stealthgenie.com – Another alternative cell phone spying company. They have a user-friendly personal account as well as support Gtalk and Pin messaging systems. Finally, monitoring cell phone activities is highly recommended for every single parent that does care about his kid’s safety and is willing to do everything that it takes to keep him safe and sound!